I help researchers stay up to date on the changing landscape of academic publishing, with a particular focus on open science. This umbrella term captures everything from the established open access movement to new ways to share data or make the peer review process more transparent. During my time working for F1000 and F1000Research I regularly gave talks and workshops on open science topics that tied into the company’s activities (such as negative results or open peer review). While working at the Institute of Cancer Research I’ve given several internal talks for staff and students about publishing negative data and a general introduction to new publishing trends. In 2015, I created a whitepaper for F1000Research, in collaboration with the marketing and design team. It was developed from a series of blog posts about different aspects of open science. 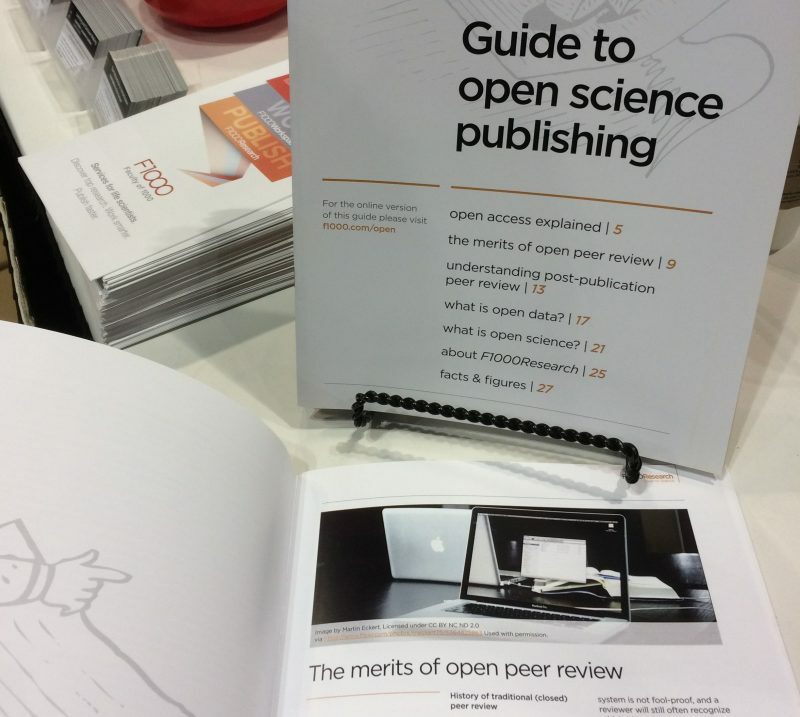 The guide discussed different forms of open access, open peer review, post-publication peer review, open data, and other topics related to open science. Some of the institutes that I’ve visited to talk about open science topics include Harvard Medical School, MIT, University of Cambridge, University of Oxford, Duke University, Stanford University, Imperial College, UCSF, University of Vienna, University of Nice, and many others. I’ve also spoken on this topic at conferences and events hosted by Sense About Science, Cambridge Science Festival, Digital Science, the consortium of Swiss librarians, and others.